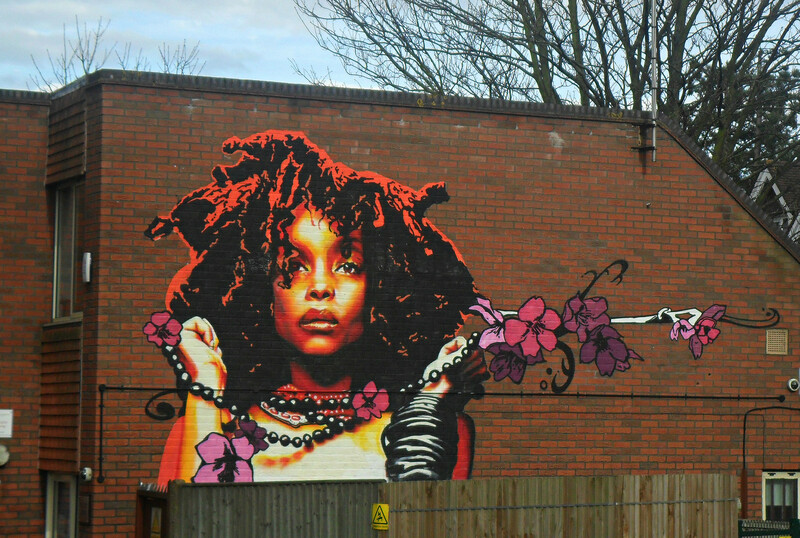 Sutton, Surrey, Greater London - Erykah Badu mural street art Wellesley Road. Photo by Tony Monblat via Flickr. “Wokeness” — the supposedly progressive force of contemporary culture wars — and their fascist antagonists, the Alt-Right, seem more and more to be different sides of the same ahistorical, professional outrage machine. Both sides are imbricated in constant social media jostling for who can adopt the most morally correct position in the form of “hot-takes” on whatever manufactured trending impropriety is that morning’s crusade of virtue signaling. Almost a century ago battles over correctness and orthodoxy culminated in the tragedy of Stalinism and the purges of those who were not the 1930s Stalinist manifestation of “woke enough.” The contemporary “ideological” wars of wokeness seem to be nothing more than a farcical pantomime of politics that serves to provide millennials with their drug of choice, affirmation, in the shape of likes and retweets. 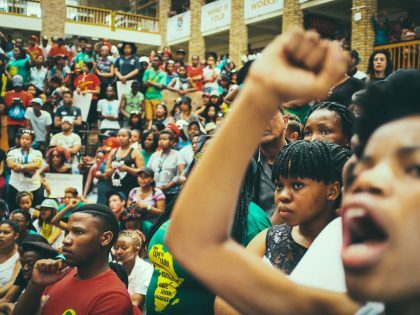 New generations of activists in South Africa have seemingly appropriated lock, stock and barrel the culture wars of African-Americans and American liberalism, including its musical, linguistic and fashion accoutrements. While no progressive political movement can forsake internationalism as one of its guiding tenets, this form of self-imposed cultural colonization perpetuates northern cultural imperialism. That there is a long history of adoption and adaptation of African-American cultural forms by Black South Africans is undeniable. 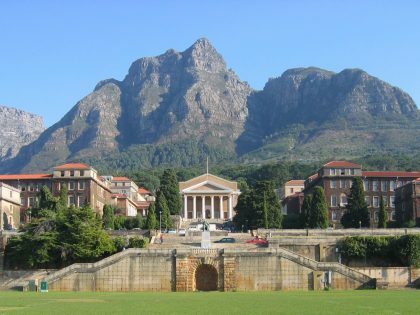 The historical political circumstances under which musicians, artists, writers and journalists in South Africa were greatly influenced by the sounds, the politics, and the fashion sensibilities of the Harlem Renaissance and jazz were characterized by vastly different power and center-periphery relations. 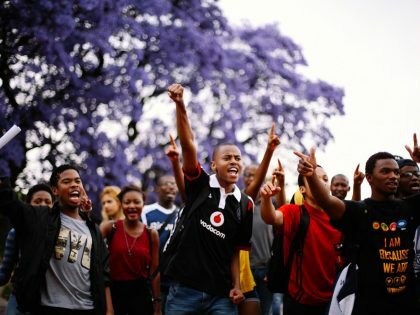 Urbanizing Black South Africans, excluded as they were from urban cultural centers under apartheid, took their cue from African-Americans whose vibrant cultural styles were overtly political reactions to white supremacy in the United States. This overtly and powerfully counter-hegemonic African-American culture was adopted and hybridized by Black South Africans in a way that spawned such greats as Hugh Masakela and Abdullah Ibrahim, not to mention writers of the caliber of Todd Matshikaza, Can Temba, Nat Nakasa and Richard Rive, to name but a few. 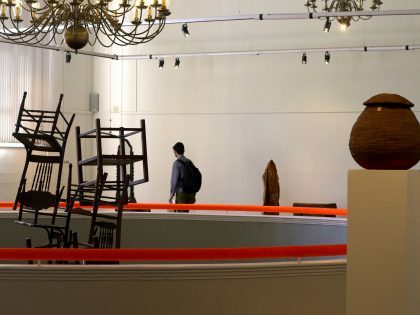 This current trend of woke identity politics which adopts US popular culture products that, whether produced by Beyonce or Migos, are part of the dominant US cultural and economic system, seems to ignore many important material differences between the US cultural metropole and the South African periphery as well as rich histories of local interactions between cultural and political forms, with the result being a purely symbolic politics rather than one that is grounded on concrete solidarity. Take for instance February 2018’s wave of online outrage directed against Erykah Badu. The RnB and Soul songstress seems to have decided that it was a good idea to weigh in with her much needed opinions on Adolf Hitler and Bill Cosby. Why she chose to share her “expertise” on these subjects with New York Magazine’s “Vulture” blog is hard to fathom, but waking up to my Twitter timeline filled with hot-takes on the “topical issue” of the presence or absence of redeeming qualities in Adolf Hitler was sadly predictable. The fact that many self-identifying wokes chose to defend (or in the parlance of wokes, “stan” for) Ms Badu’s bizarre views regarding Hitler was unsurprising, as was their more enlightened associates virtue signaling that Hitler was indeed irredeemably evil. 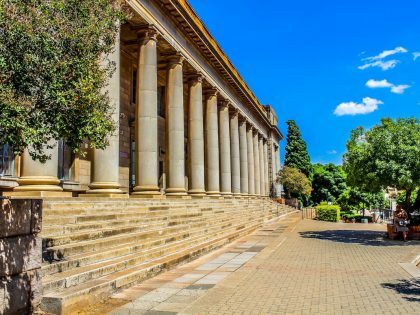 Those who defended Ms Badu were unsurprising: time and time again we have seen wokes defending ludicrous positions such as the South African student leader Mcebo Dlamini’s — who got his political start pretending to be the late activist Walter Sisulu’s grandson — views on Hitler on the grounds that black people cannot be racist. 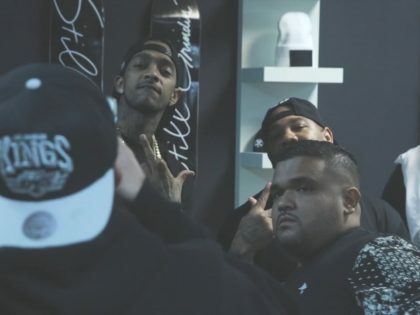 The power relations that preclude black people from being racist do not however preclude the spouting of ignorant and hateful views by wokes and their self-appointed leaders. Popular music has always been, and will remain political, and there is a long history of celebrities using their position to make political statements — whether progressives such as Marlon Brando, conservatives like Clint Eastwood, or the lunatic fringe such as Donna Karan or Mel Gibson. However, there is something new and insidious about the obsession with individualizing politics in the form of charismatic and high profile people, and filling woke social media echo chambers with pronouncements of loyalty to these individuals and the values that have been ascribed to them. All of this is done to garner the most affirmation from the in-crowd, whilst adding nothing of value to the discourse. When these individuals show themselves to be less than perfect adherents to the woke orthodoxy — as all mere humans will inevitably do — a voracious feeding frenzy follows as the in-crowd competes to “cancel” the heretic louder and more vociferously than the other. The stakes in this echo chamber of moral jostling, competition and virtue signaling may seem insignificant. However, this happens too often at the exclusion of a deeper interrogation of ideology, and the way that strands of woke “thinking” and praxis work, have led to too much focus on individual positionality. 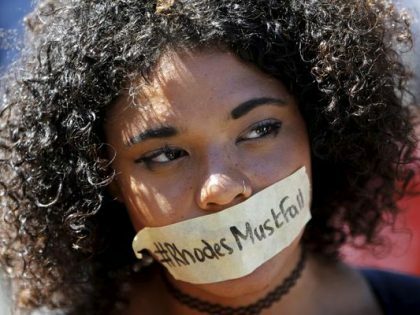 The South African student protests, collectively subsumed under the banner of “Fees Must Fall” showed the danger of the subject position being fetishized over and above any focus and grasp of political economy. 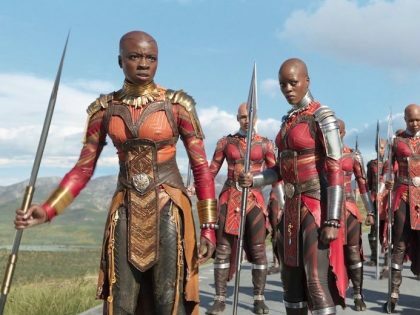 The need for black women, who along with other voices that have been historically silenced even within progressive spaces, to be prioritized in political spaces is a necessity. Sadly, this need for marginalized voices to be heard too often seems to lead to competition as to who can claim the most subjugation, and therefore has the right to leadership positions and authority to speak on behalf of the masses. Intellectually gifted, charismatic students whose political nous is beyond question, were placed on pedestals and hailed as the voices and faces of the nascent movement. That these students spoke the language of wokeness and were well versed in its performative identity politics meant that their political bona fides were not interrogated to the extent necessary. In Johannesburg, for example, these leaders’ closeness to the ruling party and its structures — the very same ruling party that mobilized the repressive state apparatus to fire teargas, rubber bullets, flash grenades and chemical laced water cannons at protesters — was rarely questioned to the extent necessary. 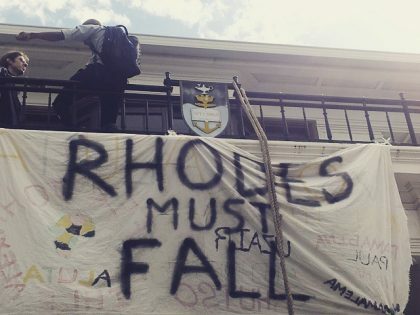 On other campuses such as the university currently known as Rhodes a cabal of self-appointed leaders, who became known as Luthuli House for their undemocratic, top-down decision making, dominated. These leaders came mostly from Model C or private school backgrounds and were well versed in this performative identity politics that paid lip service, if that, to issues of class. 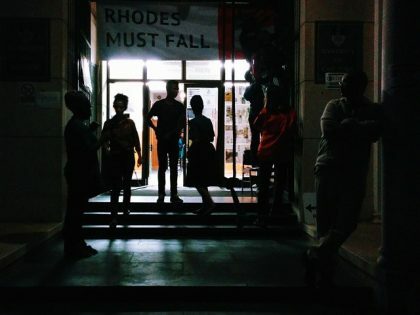 They made material decisions on behalf of the student movement with little to no democratic consultation with working-class students for whom Fees Must Fall was of critical economic importance. Their foolishness was always the fault of supposedly omnipotent and all-pervasive forces such as whiteness, patriarchy, and, latterly, White Monopoly Capitalism. Those that dare to dissent were called out and personally attacked; reminiscent of being “cancelled” on social media. 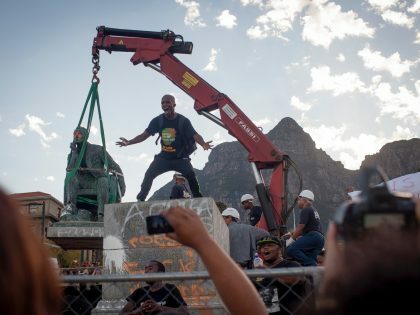 It is time for re-thinking this individualizing of politics and to move away from lauding and condemning individuals whether Mcebo Dlamini, Pravin Gordhan (South Africa’s former minister), Thuli Madonsela (South Africa’s former public protector), Erykah Badu or Aziz Ansari. Can Idris Elba’s acting save the Netflix movie ‘Beasts of No Nation’? 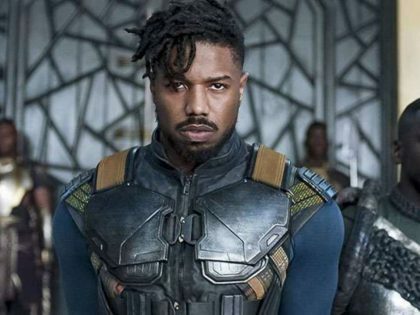 African artists must not forget that the Blackness employed by “Black Entertainment Television” is an American identity-based phenomenon. 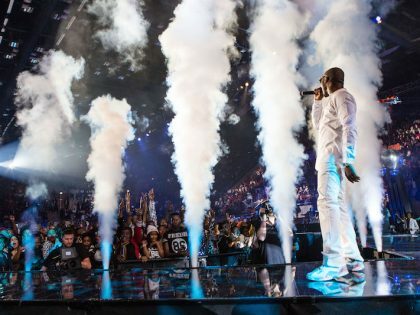 Considering the proximity of celebrity culture to how capitalism operates in Africa, why is it not given more serious attention?